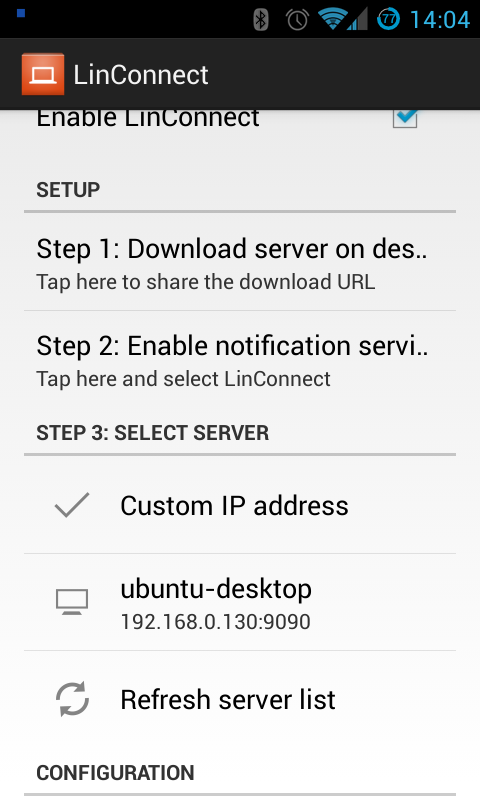 LinConnect is an application that can display notifications from your Android device to your Linux desktop. The application supports almost all Android applications and you'll get notifications when you get a call, a SMS or WhatsApp message, Facebook notifications and so on. From the LinConnect settings you can select which applications can send notifications to your desktop so you don't get flooded with useless notifications. 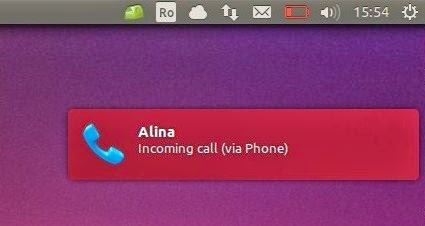 LinConnect uses Libnotify to display the notifications and it integrates nicely with the Linux desktop icon theme. Unfortunately, you can't interact with the notifications so you can directly reply to a message from the desktop for instance. 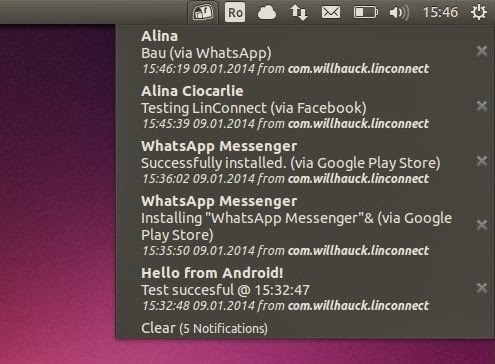 However, the application is still useful, especially if you're using a tool such as Recent Notifications Indicator which keeps a list of recent notifications so you can read them even after the notifications fade away (also, Linux Mint and Linux Deepin come with their own notifications centers which offer the same functionality). LinConnect is currently in Alpha so expect to find bugs! In my test, the application worked under Ubuntu 13.10 and 12.04 but didn't work under Ubuntu 14.04. Arch Linux users can install the LinConnect server via AUR. To get a history of recent notifications which makes this application a lot useful, try Recent Notifications Indicator. For more information, bug reports, etc., see the LinConnect GitHub page. Thanks to Janosik for the tip!